Price action traders: You’re going to love this update! I’ve pulled out the daily chart of the GBPJPY and a couple of important things happened that gives me reason to believe that the pair could move further down. First, the pair just bounced from the 50% Fibonacci retracement level. 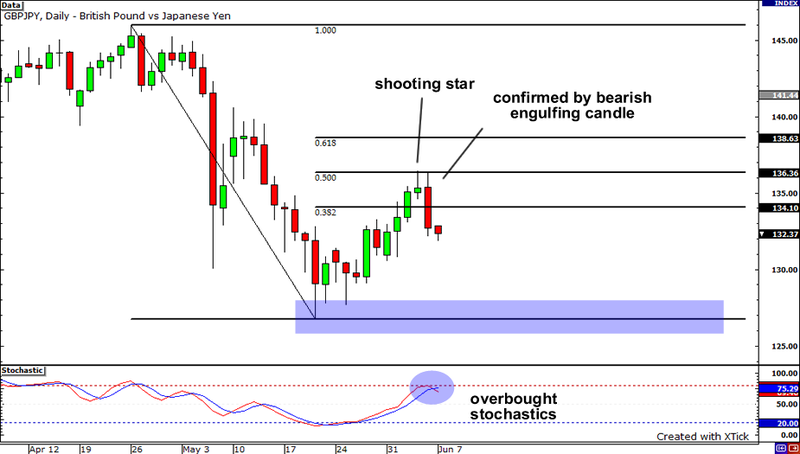 Second, a shooting star followed by a bearish engulfing candle formed after the bounce. Third, stochastics just did a bearish crossover. Given these developments, a retest of the major support level at 128.00 will be likely. 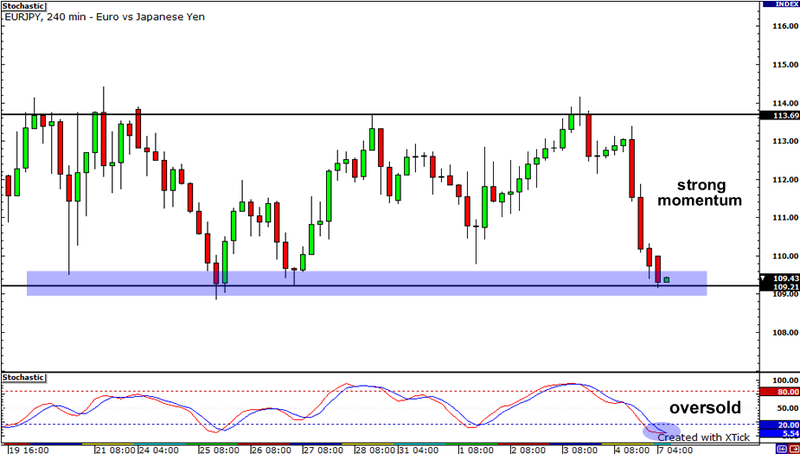 It looks like the EURJPY is testing support again! Is this a sign that the EURJPY is ranging? Does this mean that the pair will soon turn around and head up? Nobody knows for certain, but if any of ya’ll are going to take a long play, be careful! Even if the oscillator shows oversold conditions, the previous candles indicate a very strong bearish momentum. If a 4-hour candle closes below the 109.00 handle, the EURJPY could find itself at 107.00, which was a support level all the way back in Oct 2001.Conversely, if support holds, we could see the pair climb up for a retest of 114.00. Woah! 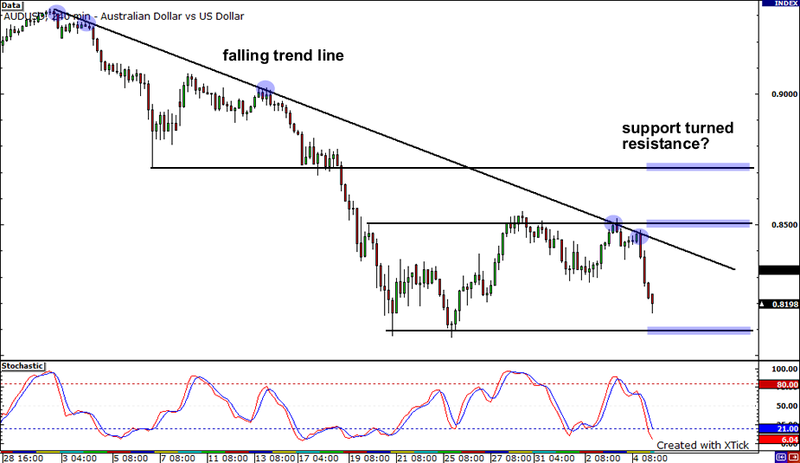 It looks like the AUDUSD pair kept sliding lower as the falling trend line on the 4-hour chart held its ground. The pair made a couple of attempts to break out late last week but was unable to move past the resistance around 0.8500. If the pair keeps moving lower, it could find support near the 0.8070 area. On the other hand, if it gathers enough momentum to break above the trend line, it could rally past 0.8500 and climb all the way up to the broken support level at 0.8720.